Whether it's kids, relationships, or just plain old principles, some things are just more important than your acting career. Here I'd like to share my picks for the top 10 actors who walked away from fame. For this list, I'm looking at actors and actresses who achieved a sizable amount of fame and success, but gave it all up voluntarily. That being said, if the actor or actress did come back, that's alright too, as long as they did purposefully take a hiatus from their work at some point. 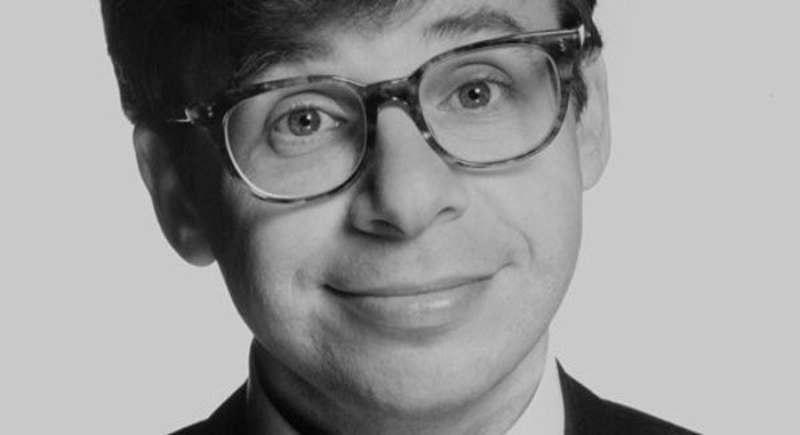 In his hey-day, Rick Moranis was one of the funniest actors around. Between “Ghostbusters” and “Spaceballs,” this bespectacled actor had us in stitches. But his reason for leaving acting behind was anything but funny. Moranis' wife, Ann, died of breast cancer in 1991, and six years later, he retired to be with his family. While he has made a few comebacks in small roles since, we still miss him on the big screen, but we've got to respect his decision to be with those most important to him. Ever wonder what happened to the bombshell from “Fast Times at Ridgemont High”? Well wonder no more, as the one and only Phoebe Cates left the acting scene by officially retiring in 1994 in order to raise her kids. We don't blame her, as having kids is a tough job. She did make a brief return as a personal favor for her friend and director of 2001's “The Anniversary Party”, but aside from that it's been all quiet on the fame front for this “Gremlins” lady. Everyone's favorite prankster rose to widespread fame after the release of “Home Alone” and its sequel, in which he took on the Wet Bandits… or the Sticky Bandits... or whatever they call themselves. Afterwards, he was in a handful of underperforming movies in 1994. He then took a 9-year hiatus from screen acting, after which he accepted roles in indie films as well as TV cameos. With a career unfortunately marred by drug charges and a suspicious relationship with Michael Jackson, Macaulay Culkin now performs in a comedy rock group called the Pizza Underground. Honestly, who among us hasn't caught themselves yelling “I'M RICK JAMES B***H!”? Dave Chappelle was one of the biggest names in comedy for a big chunk of the late '90s and early 2000s. Don't believe us? Just check out the hilarious “Chappelle's Show.” After some turbulence with the series, however, where Chappelle expressed that he was not happy with his amount of creative freedom, he left before season 3 could finish production. Since 2007, he's still been performing stand up, but has made almost no media appearances. If you were born in the late '80s or early '90s, you probably have fond memories of this beloved child star. After all, she was in such heartfelt classics as “Mrs. Doubtfire” and “Matilda”. But like many other child stars, you either retire early, or live long enough to see yourself fall apart. Luckily, Wilson was the former, and in 2013, after a waning career, she made it clear that she wouldn't act on the big screen again. She has signed a book deal however, and the tentative release date for her first novel is 2016. This Swedish acting powerhouse was recruited to one of Hollywood's pillars, MGM, early in her career and appeared in a handful of masterpieces. However, her background made her much more popular with European audiences, which were hard to come by in the Second World War. This, coupled with her appearance in “Two-Faced Woman”, a critical disaster at the time, eventually led her to give up acting altogether. Coincidentally, she was offered the role of a bygone film star in “Sunset Boulevard”. Despite her being perfect for the role, she turned it down. Renee Zellwegger owned the early 2000s. Giving a voice to the quirky Bridget Jones was the first step, and eventually she took home an Oscar for her supporting role in “Cold Mountain.” After this, however, her films began to decline in popularity, eventually leading to her taking a 5-year break from acting. For all you Zellwegger fans out there, fear not, for she is scheduled to return to the big screen soon, though she may look a little… different the next time we see her. If you're not sure what movies he was in, just ask a film buff how great Hitchcock's “North By Northwest” is. But when his daughter was born, and Grant was 62, he gave it all up to give her his full attention. He was still active, working for several companies as part of their board of the directors, but he never again graced the screen with his presence after 1966's “Walk Don't Run.” When he died in 1986, the world of cinema lovers mourned the loss of an icon. Another Hollywood icon, Grace Kelly shone on the screen in a handful of Hitchcock films, as well as the genre-defining film “High Noon”. So why did she walk away? She had a pretty good reason: she became a Princess. That's right, in 1956, at the age of 26, Kelly married Prince Rainier III of Monaco. She was no longer permitted to act, so she began philanthropic endeavors and embraced her duties as a princess. Turns out silver screen royalty makes for pretty good actual royalty. After a slew of rom-coms aimed for teenage audiences, Freddie Prinze, Jr. was slated to be America's next great heartthrob. However, he has since stepped out of the spotlight when it comes to major acting roles. In the late noughties, he took on a creative role behind the scenes for the WWE and made the occasional guest starring appearance. He also had a few voice acting jobs in recent years, as well as a small stint on the hit show, “24”. In spite of all this, he's shown no effort to recapture his former glory, seemingly content with these smaller projects.